MOVE OVER GREIGE, COLOR HAS ARRIVED! Christina here this week! After recently visiting a new trade showroom, I have compulsively - and not secretly - been obsessing over colorful cabinets. As a lady who loves the classic look that transitions through styles, I'll admit I was quite surprised by my gravitation toward this impactful trend! Like so many of us do, I too have been spending some time debating how a unique cabinet color can be implemented in my own home. Will I introduce a needed splash of color on my bathroom cabinets or go big and completely remodel my kitchen to add this fabulous design feature? A few of my faves are below (all sourced from Pinterest)! The verdict is still out, but one of my favorite characteristics about this trend is the versatility! I love that anyone can literally take a can of paint and update a small bathroom just by painting the cabinets and adding new hardware. Not everyone loves or has time for a DIY project, but you can still transform a room by adding custom cabinets in the kitchen, bar, bathroom - any space, really! 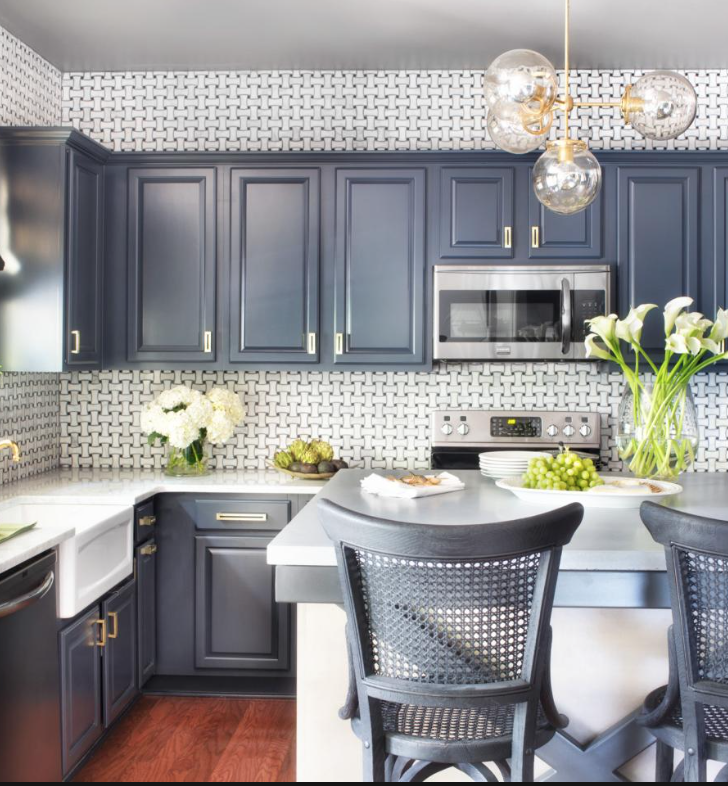 In addition, I'm loving the combination of wallpaper, brass, and decorative tile with these fun and fabulous cabinets (more to come soon on these throw back trends). While I am over here still debating, throw out that greige paint and let me know what spaces you will be updating with a splash of color!